So You've Been Injured in a Car Wreck, Now What? According to information compiled by the Missouri State Highway Patrol, on average more than 50,000 people are injured or killed on Missouri roadways every year. In fact, someone is injured in a car crash in Missouri every 10.3 minutes. (MSHP Missouri Traffic Safety Compendium, 2011). The odds are that you or someone you care about will be involved in a car accident during your lifetime. If that happens, there are several things you can do to protect yourself or a loved one when a car accident results in personal injury. Dial 911 and request an officer respond to the scene. This may seem obvious in a serious car wreck where an ambulance is needed or the vehicles cannot be driven from the scene, but it is also important in lower impact accidents where injuries may not seem as severe or the cars do not have to be towed. It is important to have a police officer record information regarding the wreck, such as driver identification, insurance, property damage and personal injuries, so that it is available afterward in a police report. 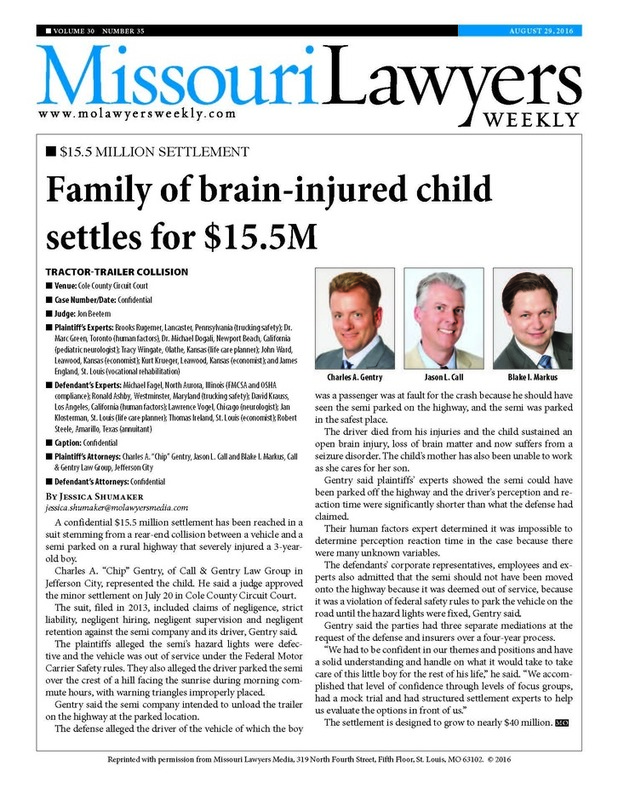 Since Missouri is a comparative fault state, the police report can also be very helpful because the officer typically documents the statements of the drivers who were involved in the crash. Do NOT admit fault. Even if you feel you may be partly to blame for causing a wreck, do not discuss it with the other driver, your passengers or even your own insurance company. Admissions of fault can be used against you to reduce the value or even defeat a personal injury claim. In addition, there could be facts of which you are not aware that go toward determining who was at fault, such as if the other driver was speeding or not paying attention. Instead of talking about who was a fault, just provide an honest report of what happened without providing any opinions on whether something you did caused the wreck. Seek medical attention right away. If you wait several days or weeks after a car accident to seek medical attention, it can be detrimental to your personal injury claim. Insurance companies love to use "delays in treatment" to argue that you really weren't hurt or that you're exaggerating your injuries. If you feel any pain, numbness, dizziness or discomfort after an accident, follow up with your doctor or with an emergency provider right away. In addition, it is especially important to have very young children examined by a doctor to make sure that no serious injuries have occurred. 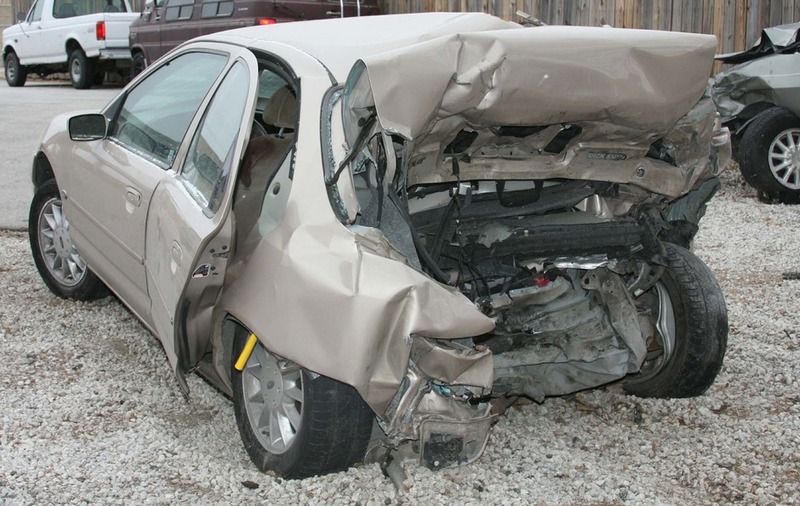 Take photographs of the vehicles involved in the wreck and of your injuries. The old saying is that a picture is worth a thousand words. If there is visible damage to the vehicles, take some photographs with your smart phone or have your passenger do it. If you have visible bruises or other injuries, have a friend or family member take photos of these as well. They can provide important evidence for an attorney to help document your claim or even use in a personal injury lawsuit. Don't give a recorded statement to the other driver's insurance company. The other driver's insurance company may call you to ask what happened in the wreck. Remember: You have no duty to speak with any insurance representative of the other driver and should refrain from giving a recorded statement. Giving a recorded statement is best done only when you are represented by an experienced personal injury attorney, who can advise you and make certain that your interests are adequately protected at all times. Start a folder to store important information. You should keep a record of everything related to the car wreck. Obtain a copy of the police report. Make a list of all witnesses including names and contact information. Keep a list of all medical providers you see for treatment. File away all correspondence you have with insurance companies and medical providers. Save all of your receipts for medications, crutches or other items and copies of all of your medical bills. Consider keeping a journal or diary of your injuries, especially if you are forced to miss work as a result of the wreck. Keep a record of any lost wages from missed work. Keep in mind that hiring an experienced personal injury attorney may be one of the most important steps you take. An attorney can help you navigate a personal injury claim, including assisting you in dealing with complicated areas of the law, such as insurance. An attorney can make sure that you get fair compensation for your injuries and advise you on when the best time is to settle your claim (or file a lawsuit). Consider consulting with an attorney before signing any release, medical authorization or any other document provided to you by an insurance company, even if it is your own. At Call & Gentry Law Group, our experienced Mid-Missouri personal injury attorneys are ready to assist you. Feel free to contact us at 573-644-6090 for a free consultation to discuss your car accident or personal injury claim.